Shiva will be observed on Wednesday Sept. 12. 2108 from 5:00 PM to 7:00 PM at Kimball Farms, 235 Walker St. Lenox, MA. Gertrude (Trudy) Moskowitz, 88, a loving mother and grandmother, dedicated teacher and active member of the Jewish community passed away on Friday, September 7, at her home at Kimball Farms, in Lenox. The daughter of Louis and Rose Honigbaum, she was predeceased by her brother, Nathan. A resident of Pittsfield for sixty years, she was an avid reader and never reticent to share her opinion about current events or the many performances and cultural activities she enjoyed in the Berkshires. Proud of her roots in Brooklyn, New York, she was a graduate of James Madison High School and earned bachelor’s and master’s degrees from Brooklyn College. 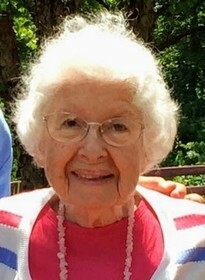 A teacher of French in the Pittsfield Public Schools, she was also an active and longtime member of Pittsfield College Club, the League of Women Voters and B’nai B’rith Women. Trudy is survived by her husband, Norman Moskowitz, with whom she would have celebrated their 67th anniversary on September 9. She also leaves her daughter Linda Noonan and her husband Robert of Boston and South Egremont; her son Ira Moskowitz and his wife Osnat of Modi’in, Israel; and grandchildren Madeline (Benjamin) Noonan Olson; Shira (Roie) Moskowitz Zaifer; Tomer (Adi) Moskowitz; Matthew Noonan and his fiancée Elizabeth Harmuth; and Ori Moskowitz. She cherished her four great-grandchildren, Hila and Shai Zaifer, Tal Moskowitz, and Max Olson, who brought her great joy. A funeral service will be held on Wednesday, September 12 at 1:00 p.m. at Congregation Knesset Israel at 16 Colt Rd., in Pittsfield, where Trudy was a congregant for sixty-two years. Friends are invited to share their memories of Trudy at a Shiva gathering on Wednesday, September 12 from 5:00 to 7:00 p.m. at Kimball Farms, 235 Walker Street, Lenox. In lieu of flowers, donations to honor Trudy’s memory may be made to Tanger Hillel at Brooklyn College, 2901 Campus Road, Brooklyn, NY 11210. To add to the Book of Memories, please visit www.flynndagnolifuneralhomes.com.